My business associate in Washington D.C. area for over 25 years has been Paul Ignosh, Chairman and CEO of I & A Consulting Group. If you need someone who knows their way around the many departments of the US government, I suggest you contact Paul. When I need help with a trade show, an introduction to someone in government or information on a company in the Washington D.C. area, Paul is the person I turn too. Paul is a facilitator, he gets things done! It has been a good business relationship, but even a better friendship for these many years. I&A Consulting provides management consulting services specializing in growth oriented technology based companies. Services include; Business Development, Strategic Partnering, Corporate Development, Sales Management, Financial Services and M&A. I&A is an SBA Certified Veteran Owned Small Business. I&A currently leads a consortium of companies providing unique and innovative technologies to the Department of Homeland Security and other Federal, State and Local agencies. The mission of this engagement is to improve the business processes associated with networking and wireless technologies for infrastructure to provide interoperability to 80,000 municipalities and over 100 Federal Agencies as related to the National Response Plan. I&A manages working relationships with Federal markets including DISA, STATE, DHS, FEMA, HHS, DOD and large integrators Northrop Grumman, Lockheed Martin, Raytheon, CSC, IBM, Unisys and Verizon. Harry Mandel, has been performing magic for most of his life. As a young boy, Harry was inspired by the Amazing Randi on Wonderama and Mark Wilson on his Magical Land of Alakazam back in the days of early kid's television shows. Harry was also intrigued by Carnival hucksters and pitchman, as well as the escape artistry of Harry Houdini. As a professional magician, Harry Mandel's unique blend of amazing magic effects, comedy, mentalism, and escapes, has been delighting audiences since 1989. He has appeared at the world famous Copacabana and various Comedy Clubs as well as on local Long Island TV shows. Harry will astonish you and your guests with his stand up, close-up and walk around magic. A magician at your trade show booth will draw crowds of people to hear your message, to see your product, and learn of your services. Harry Mandel can gather and retain a crowd in front of your booth. 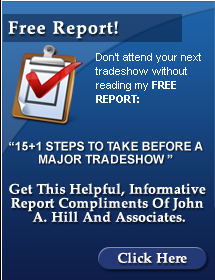 He will work with you to make sure your trade show is a success. Harry is available for all types of parties and events, private or corporate. Birthdays, Bar/Bat Mitzvahs, B-B-Qs, Anniversaries, Weddings, House Parties, Block Parties, Halloween Parties, Picnics, Cocktail Parties, Office Parties, Holiday Parties, etc. Businesses need to show customers how to use their products and services. They also need to provide training for their employees, distributors, franchisees, etc. Murray Kleiner Associates provides the highest quality in customized training programs consisting of manuals, videos, and self-paced/instructor-led training programs. 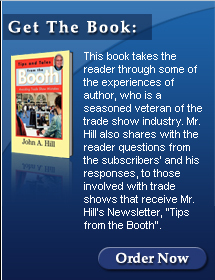 They also develop interactive videos for product demonstration at trade shows. Murray Kleiner has been providing technical writing services since 1994. He initially developed a niche with engineering and manufacturing companies developing operations and service manuals. Today, his services have expanded to include the training needs of tech and non-tech companies including policies and procedures, product knowledge, and business succession. 3. Three first place awards. I got to know and respect the capabilities of Charles when I saw him in action at ExecuLeaders. He is a consummate promotion person, continually putting his products and capabilities in frontof the buying public. At every ExecuLeaders breakfast, Charles always offers, as a door prize, three of his shirts with your own logo on them. Besides winning a number of awards for his embroidery and screen printing, it is a great promotion idea. And with your name and logo on these shirts, it is a wonderful way of telling the world about your company as well. This is not the area where I focus my attention with my clients, but I certainly know who to call when my clients are looking for this capability�Charles, one of the best! I had the good fortune of meeting Felix at one of the monthly HIA ( Hauppauge Industrial Association ) Computer Technology Committee meetings. Whenever there is a question regarding security, everyone looks to Felix for answers. 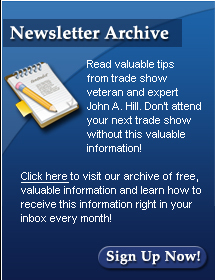 Felix has also been a guest columnist for my newsletter, �Tips from the Booth.� His article regarding trade show security was well received, and many of my clients have incorporated many of his security suggestions into their trade show marketing plan. Nater Associates, Ltd. is a security consulting practice that provides a suite of integrated workplace security solutions and strategies to interdict and prevent violence by enhancing workplace security. Mr. Felix P. Nater, President of Nater Associates, is a Certified Security Consultant awarded by the International Association of Professional Security Consultants and a retired United States Postal Inspector and Army Reserve Command Sergeant Major with over twenty-six years of experience. Over the last fourteen years, Mr. Nater has served a variety of corporate, government and non-for-profit clients. I met John at one of the many networking sessions that I attend. It was obvious after speaking with John that he is a man of many talents. Besides being a trade show developer, with an emphasis in creative graphics design, he is a well-known and respected artist with paintings in the homes of government dignitaries, as well as many other figures in the world of business. John and I have done seminars together that have been well received, and we will continue to work together on similar projects when the opportunities arise. I am pleased to have John contribute his expertise in this book, and I am confident anyone that reads it will get more than a few helpful ideas in the graphics area. . If you're ready to achieve new heights with your business, it's time for you to get to know Dean Mercado! Through coaching & consulting with Online Marketing Muscle, Dean has helped numerous small businesses and independent professionals leverage the power of the Internet to creatively market themselves and gain a competitive edge. marketing tactics have given many a fighting chance to not only survive but thrive in today�s volatile marketplace. including Inc. Magazine and Crain�s New York Business News. Additionally, Dean is a current and active member of several business and community organizations such as The Middle Country Chamber of Commerce in which he serves as Vice President! Jesse James Wroblewski is the owner and lead designer at Generations Beyond, a full-service creative studio based out of Long Island, New York. When it comes to the internet, he�s written the book, two of them actually! Founded in 1999, Generations Beyond has been creating breath-taking and cutting-edge websites for businesses of all sizes, in all types of industries, from all over the world. With two internet related books under his belt, and artwork featured in the pages of ROLLING STONE and STUFF MAGAZINE, Jesse not only brings an incredible level of technical expertise, but a unique and artistic flair to each and every project. Now armed with a digital video studio, a new and exciting tool in his toolbox, Jesse is using video in new and exciting ways to add creative, high-impact flair to his website designs as well as easily cross promote his clients� business on video sharing websites across the web. Mike has been a mainstay of Dynamic Display since 1986. Originally starting out in fabrication he has a real sense of the custom nature of every project that comes in the door, over the phone...or through the website. Over the years, Mike has worked the business from the inside out -- producing orders, handling customer accounts, on-site installations and managing the operation. Today, he works closely with the staff at Dynamic Display assuring that all the work going out the door meets and exceeds the client's expectation. From exhibit design and fabrication to show management and storage Mike�s involvement in a project is from conception to completion. Mike, a graduate of the Dale Carnegie Institute and former volunteer group leader, is a frequent exhibitor and attendee at trade association expositions within the region, sharing his knowledge and expertise. He also spearheads Dynamic Display's ongoing e-mail client alerts furthering his commitment to educating clients on the latest technologies, products and techniques the industry has to offer. Jeff Goldberg is an award-winning sales professional with more than three decades of sales, training, and sales management experience. He has had the opportunity to teach, coach, mentor and speak in front of many thousands of sales professionals, ranging from successful veterans to the most junior new hires in a diverse array of industries. His personal experience includes work in the Insurance, Market Research, Corporate Seminar, Publishing, Retail and Recruiting industries. He has worked with and trained executives in such areas as Advertising, Telecommunications, Information Technology, Financial Services, Healthcare, and Transportation to name a few. Jeff has also been a student of human behavior for over 25 years and has read and studied with some of the world's greatest teachers. His philosophy and coaching have helped countless people take control of, and change, their lives for the better. His seminars and workshops inspire and entertain while his techniques will provide people with tools to live a happier, more productive and fulfilled life. Jeff delivers powerful, high-energy programs and speeches that draw on his years of experience as a performer in the theatre and stand-up comedy. He is relentlessly energetic and results-driven and injects humor, passion, and a strong dose of reality into his programs. He has delivered training for clients such as State Farm, Newsday, Cisco, Citibank, Cablevision, and others representing nearly every commercial and industrial category. For over 25 years, Bob Watson has successfully helped clients distinguish themselves from competitors on the trade show floor. Having purchased Skyline New York (SNY) in December of 2006, Bob�s production company became part of a larger dealer network that offers 138 design centers in 38 countries. Utilizing modular displays, rental options and integrated marketing solutions to help with pre-show, show and post-show planning, Bob has maximized the success of his clients while keeping within a variety of budgets. 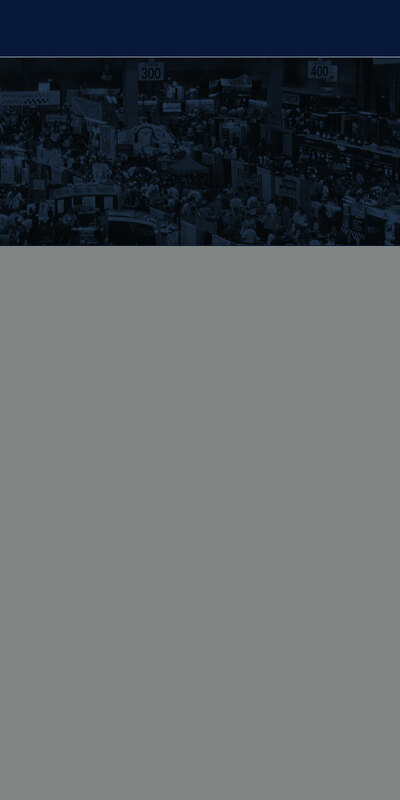 As a full service exhibit solutions firm, SNY also designs and manufactures displays and offers full convention support as well as installation and dismantling services. And, with the addition of 10,000 sq ft at its Long Island headquarters, storage space is now available for businesses to warehouse their exhibit properties together with their promotional and collateral materials. Through his vision, perseverance and commitment, Bob has made a difference in the way companies� exhibit. Included among his many accomplishments, holding the position as President of the prestigious Exhibit Designers and Producers Association (NY Chapter) for three years. CEO and Project Manager of Hot Web Ideas, Inc.
Bruce has led Hot Web Ideas, Inc., a web design and internet marketing firm, to be one of the most innovative web development companies on Long Island. Bruce has helped his clients (who include JP Morgan Chase and UBS Swiss Bank) increase their sales through online marketing and improved web design. Bruce embraces cutting edge online marketing strategies including social media marketing, blogging, podcasting, and his online radio station and combines them to help small and large businesses increase their online sales. Bruce also owns and operates cutting edge web sites for the Long Island area including the Long Island Blog Network (www.LongIslandBlogPosts.com) which lists over 50 blogs and the Long Island Social Media Business Directory (www.LiSocialMedia.com). In his spare time, Bruce spends time with his family, plays tennis, and performs playing saxophone and keyboards in a rock band.